TONY Haydon has scaled the greatest heights racing has to offer, but to win Friday’s Townsville Cup with the import Tucano would be something altogether different. Haydon spent 20 years with champion trainer Peter Moody, firstly as an apprentice in Brisbane when Moody ran Bill Mitchell’s stable and later as a foreman when Moody was winning Victorian premierships. When Moody handed in his license, Haydon returned to Queensland, originally as a courier in Townsville, before he was coaxed back into racing. “A couple of people asked us to train and we poked along with a couple of horses,” he said of the business he has since started with partner Marni Kelly. “We moved to the beautiful Sunshine Coast and we have 10 boxes in Bruce McLachlan’s old barn. 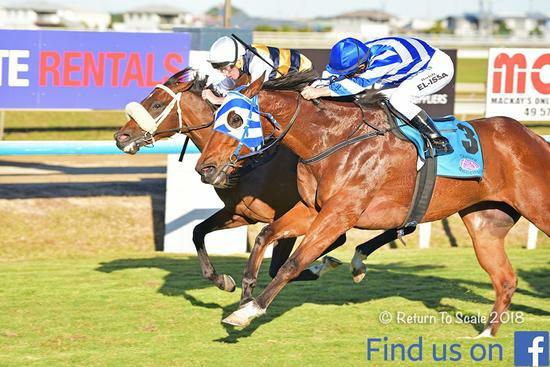 Tucano is raced by OTI Racing and Haydon inherited the rising eight-year-old this campaign with a specific view of aiming at the central and north Queensland Cups, given the big Northern Crown bonuses attached to the carnivals this year. Haydon’s association with OTI principal Terry Henderson dates back to his days with Moody, where OTI raced a string of topliners, including Manighar and Brambles. “Terry has always been a gem to deal with at both Pete’s and now,” Haydon said. “We emailed him a few times to see if he had anything and he gave me this fellow to see if we could get him to fire up. “He’s a seven-year-old bull, so we’ve just had to try some different things to see what switches him on. “If he produces that same run as he did at Mackay, he will be very hard to beat. He’s in a happy spot, so we will see what happens. Haydon was a key part of the Black Caviar story, spending countless hours with the unbeaten champ, including on her famed trip to England. “I was lucky to be there for her. She was a freak of nature. You see some good horses, but never think you will get to see something like that,” he said. “As it was going on, each season, because the build up with the media and public, you did feel the nerves. You felt it towards the end especially. Haydon also has first starter Massabielle racing at Doomben tomorrow. “It’s mainly a kick off point. She has natural ability, but her mind’s not there yet,” he said.